Book lust. You know you’ve got it. So does Nancy Pearl. 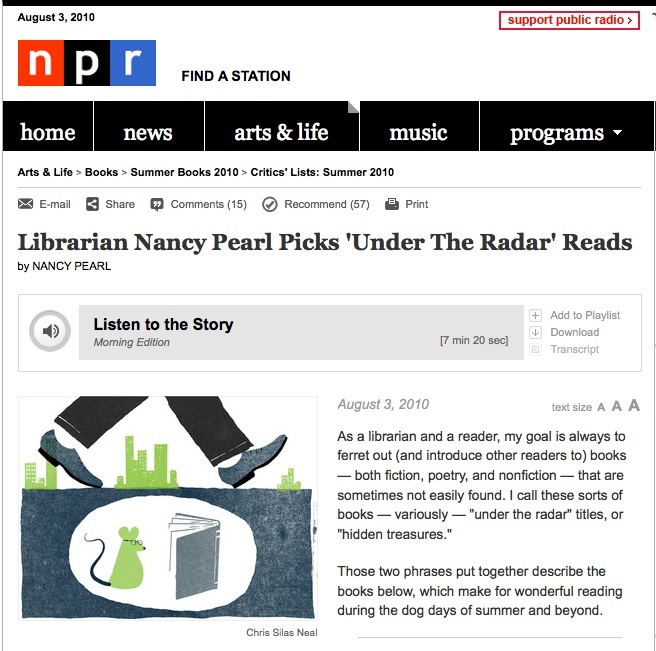 Go here to read librarian Nancy Pearl’s most recent feature on NPR talking about good books to read. She’s so well-read and so articulate and so enthusiastic, my to-read pile gets longer just listening to her. And, glory of glories, she has a blog. And it’s got an RSS feed. If, you know, you were into that kind of thing. 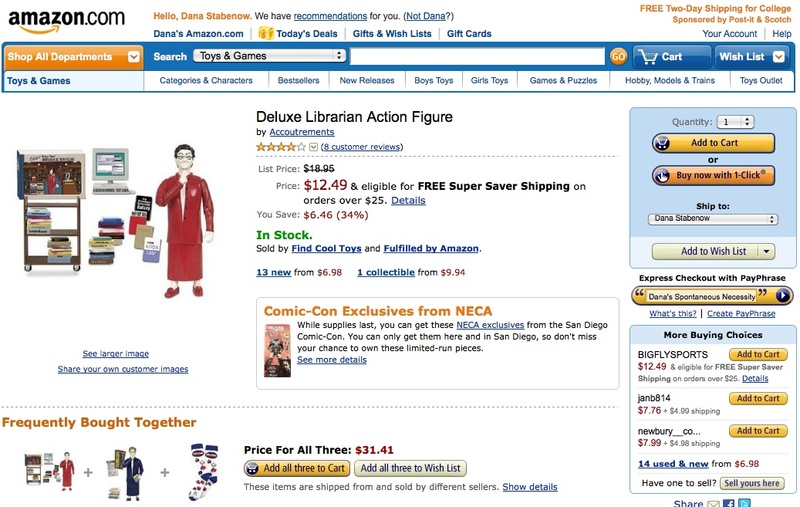 She even has her own action figure. With Nancy on the case, there is absolutely no reason for anyone to be sitting around whining that they don’t have anything to read. Yes, you do! Or you do if you listen to Nancy.